Hello and Happy Thursday to you!! 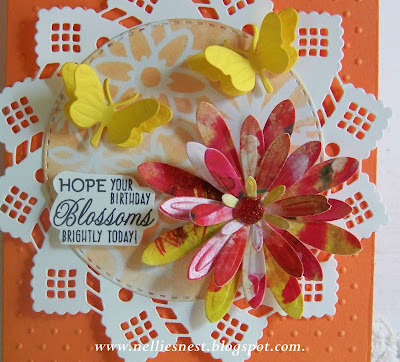 My card today is called "Happy Colors". I named it that as the colors just make me "HAPPY"! 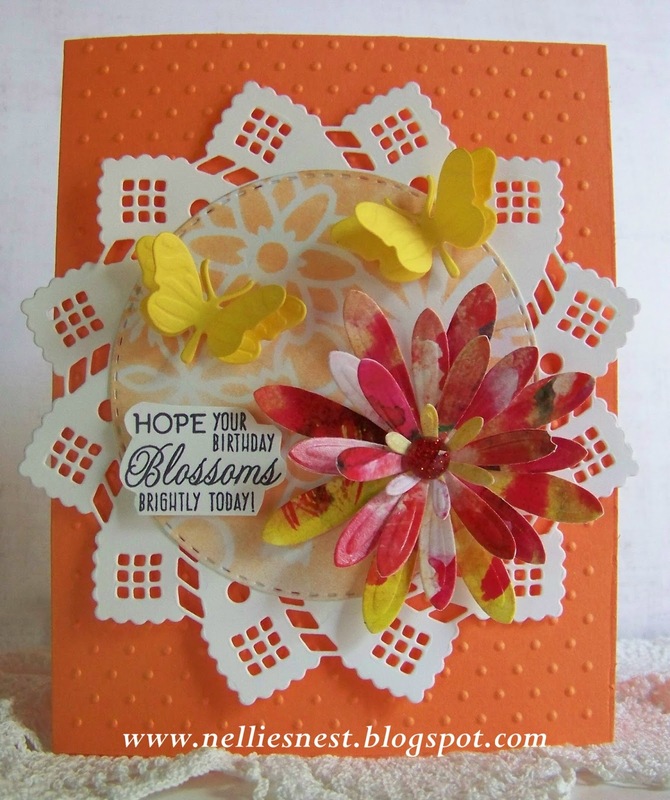 I cut a Cheery Lynn Designs Pinwheel Doily from white card stock. but I didn't use it this time. it's a "solid" cut of the doily to place underneath. I stenciled Memory Box Florina stencil with Persimmon chalk ink. Memory Box Open Studio Stitched Circle Layers. Sue Wilson Finishing Touches Open Petals. Make sure to look at all the Sue Wilson Flower dies in stock! The paper is Ken Oliver Watercolored Memories. I finished with a few flying butterflies and a stamped sentiment! inspiration the DT offers..it is fabulous! You will see more fabulous inspiration there. Visit the Dies R Us store often, there are always new dies coming in. Thank you for visiting with me! !